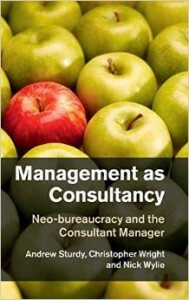 This seminal book by three business school professors presents the results of a major research programme on modern management practices. This research, conducted on two continents, shows that modern managers extensively use management consulting practices to deliver value in today’s complex working world. London Business School’s Professor Lynda Gratton has said employers will look for specialist skills in the coming years. Professor Gratton said that employers will be looking for “deep” skills over more general ones over the next decade. She suggested that people looking for work in 2020 will be required to have a far different set of skills than today. What is Value Management / Value Engineering? Value Management / Value Engineering (VM/VE) is one of the most powerful consulting methodologies ever developed. Originally formulated in the late 1940s by Lawrence Miles at General Electric and refined by many practitioners over the years, VM/VE is a powerful problem solving system designed to maximize the value of products, services, projects, business processes and organisations. VM/VE is an evidence based methodology featuring team working, sense making, optioneering, stakeholder management and benefits realization. Skilled value practitioners are able to apply the framework to solve most organizational problems. We are a fully Approved Training Centre of the Chartered Management Institute (CMI). The CMI is the UK’s leading chartered professional body for professional managers, founded in 1947, and currently has over 90,000 members. The CMI offers a wide range of qualifications which ultimately lead to the Chartered Manager professional qualification. We are a fully Approved Training Centre of the Institute of Consulting (IoC). The CMI merged with the Institute of Consulting (IoC) in 2007. The IoC was founded as the Institute of Management Consultancy in 1962, changed its name to the Institute of Consulting in 2011 and currently has more than 7,000 members. Between them the CIM and IoC offer a range of consulting qualifications. We are a fully Approved Training Centre of the Institute of Value Management (IVM). The ICM is the UK’s professional body for Value Management / Value Engineering (VM/VE). Click here for more information about VM/VE. Click here for more information about VM/VE qualifications. Visit www.ivm.org.uk for more details. Through the Institute of Value Management we are fully accredited to deliver training under the Value for Europe (VfE) programme. VfE was developed to improve European competitiveness by establishing standards of performance and accrediting professionals in the application of VM methodologies. Visit www.ivm.org.uk/training-value.php for more details. We are a fully Approved Training Centre by the Ministry of Defence under the Enhanced Learning Credits Administration Services (ELCAS) scheme for military and ex-military people wishing wish to develop their professional skills. Click this link to access our growing collection of articles on the consulting profession. 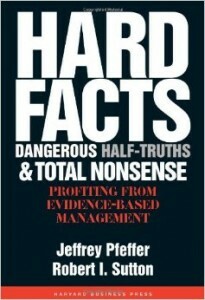 ‘Hard Facts’ is a timely reminder that management should be based on sound scientific principles yet in the real world it is anything but. Evidence Based Management (the authors’ updating of ‘scientific management’) is a loud wake-up call to senior executives and their consultants to apply scientific thinking whenever they launch a new business initiative. Whenever we choose a doctor, dentist or solicitor we insist on a fully qualified professional. Indeed, the thought of engaging a non-qualified person doesn’t even enter our heads. Why then do clients rarely question the qualifications of their consultants or their ethics? 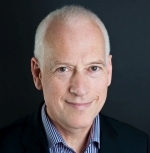 To find out more read my article published in the London Business School’s ‘Business Strategy Review’. Download your copy now. The consulting profession has been rapidly evolving to meet the needs of clients as their use of consultants has grown. With the advent of the Certified Management Consultant (CMC) qualification it is now evolving into a mainstream profession. Here are a series of insights about some of the issues affecting the consulting profession. I hope you find them interesting and insightful.